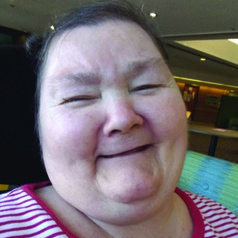 ANTOINE, Jeannette Marie Dorothy It is with extreme great sadness that we announce the passing of our beloved mother and grandmother peacefully with family by her side at the Misercordia Hospital, Edmonton AB, April 5, 2019; at the young age of 58 from Cornwall, ON. Beloved wife of the late Barry Antoine. Loved mother of Jennifer King (Andrew), Yusuf Antoine (Roxanna) and Cody Antoine all of Edmonton, AB. Cherished nanny of Quinton, Heaven and November-Rain, Anisa, Isa and Aisha. Pre-deceased by her parents Ernest Lapointe and Jeanine Flaro, 2 sisters Anne Gelbert and Lorraine Robert and lovingly remembered by nieces, nephews, family and friends.